Furniture retailers are today facing multiples challenges, and many are asking: How can we really get to know our customers? What’s the best way to integrate online with bricks and mortar operations? And how can we reduce time and cost in an omnichannel world? Envoy Digital, part of KPS, a transformation consultancy focusing on retail, has organised a special event to answer these, and many other questions, that furniture retailers are asking as they seek the best ways to create seamless omnichannel customer journeys. The ‘Furniture Retail Innovation Day’ – to be held on 27 September 2018 at SAP UK headquarters in Feltham, Middlesex – will provide delegates with the latest updates on digital furniture retail, using industry case study examples. Speakers will give first-hand insights into how furniture retailers can reduce delivery time and cost, whilst getting to know their customers better. In many ways, the event couldn’t be timelier. The path to purchase has never been more complex. What was once a linear journey is now a complicated, often unpredictable, series of interactions, usually spanning multiple channels and devices. And it no longer has a clear beginning or end. If convenience is at the forefront of consumers’ minds, retailers must respond. This means developing a new path to purchase that is flexible enough to meet shoppers’ needs, at the same time as maintaining authority over the objectives and outcomes. The fact is, shoppers need access to information across all channels – online should be as informative as the store, while ecommerce should be as personal as the store associate. Retailers, therefore, need to consider whether they have the technology to unite the strengths of all their channels. For example, in the store environment, putting mobile POS into the hands of front-line staff gives them direct access to the wealth of product information, pricing and availability that can be accessed online, at the swipe of a finger. Online, meanwhile, the discovery phase needs to add real value. This can be through personalising recommendations based on previous browsing and buying activity or launching chat features that enable consumers to ask detailed questions about an item’s relevance to them individually. Although ecommerce still only accounts for around 15% of the UK furniture market, it’s clear that ‘traditional’ furniture retailers cannot afford to stand still. The online furniture segment is now expected to grow globally at a five-year compounded annual growth rate of 15% and will be worth $220 billion by 2020. Having shaken up furniture retail, ecommerce-led businesses are bringing the speed, convenience, personalisation and customer focus that they’ve honed in their online operations into their bricks-and-mortar stores. Their offering of personalised – or even sometimes hand-made – furniture, made to order within a relatively short time frame is a big selling point, especially among younger consumers, but the ability to visit a physical store to touch and feel big-ticket items before purchase is still seen as the key in underpinning further expansion. 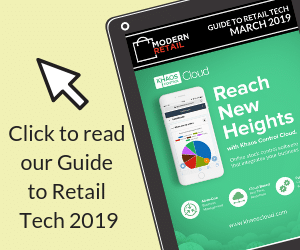 Spurred into action by innovation in the sector brought about by pure-plays, well-established UK retailers, such as DFS, Dunelm and Dreams, have begun modernising their stores, acquiring etailers and bolstering their omnichannel propositions to better meet the needs of digitally enabled customers. Traditional retailers may have native omnichannel advantages that give them a head start, but many are late to the ecommerce game. Meanwhile, pure-plays have tremendous resources, but a lot of heavy lifting to do to replicate stores’ native advantages. When we look at how UK disruptors have succeeded thus far, it is largely because they have targeted traditional pain points in the furniture customer’s buying journey. Traditionally, UK furniture customers waited weeks, if not months, for their new purchase to be delivered by a third-party logistics partner who quickly disappeared, making it extremely inconvenient to return a product if it doesn’t fit the bill. Now, however, the most efficient furniture retailers can deliver their product to a consumer’s door within a week, and in some cases 24 hours. They are also using innovative shipping methods to enable low cost, stress-free returns. For the moment at least, the clear majority of consumers still prefer to view potential furniture purchases in store, even if they are happy to start and finish their journey online, but that doesn’t mean retailers should rest on their laurels. To remain competitive, furniture retailers must take the disruptors on at their own game. However, at present, many retailers’ ability to transform is blurred by the burden of disintegrated systems and broken processes, which together are not enabling their workforce to perform at their maximum potential. By reinvigorating core processes, retailers can reduce their stock to cash cycle, raising revenue and profit per product category, store format, channel and customer. Moreover, introducing best practice processes will provide retailers with a platform for expansions into new channels, territories, product categories and customer groups. This will help retailers take on Amazon and other pure-play competitors on their own terms as consumer confidence in buying furniture online grows. KPS’ Furniture Retail Innovation Day will provide attendees with the tools to get ready for the digital age of furniture retailing, allowing them to thrive in an evolving retail industry. The event includes industry leader and innovator Mike Logue, CEO at Dreams, who will talk about succeeding in the digital age of furniture retailing. Brigitte Wittekind, SVP Operations, home24. a European leader in pure-play furniture retailing, will provide insights into efficient processes and modern technologies for profitable growth. And Sam Menter, Director of service design and customer experience at Mace & Menter, will talk about achieving omnichannel customer engagement. Furniture Retailers are recognising the need to integrate their sales channels to better meet the needs of customers at each stage of the buying journey, whether online or in-store – which legacy systems are no longer able to deliver. Very few retailers, especially in the furniture industry, have created such an omnichannel solution so far. This event will show how furniture retailers who build these strong foundations will be best placed to offer their customers the smoothest in-store experience, building customer loyalty and ultimately boosting their bottom line.